So the question then becomes why did the level of distrust between these former allies grow to the point that they saw each other as mortal enemies? Students will be given the following primary sources to help understand the post-war transition to the Cold War. Many questions may come to students’ minds after reading these excerpts: What did each side fear the most in the other? Did the animosity stem from ideological differences? Economic considerations? Both? Were there other considerations as well? Were these rational considerations, or did paranoia creep in as well? What makes the Cold War conflict distinct? Does it have to do with the new weaponry, or the new world order after WWII? Did the threat of nuclear war seem an appropriate or rational response to the conflict between the United States and the Soviet Union? It may still be difficult for students to put themselves into a mindset that allows for comprehension of such Cold War realities as air-raid drills, bomb shelters, or the Berlin Wall, but primary source investigation will be one of the best tools for accessing the ideas and policies that drove Cold War history. In the end, we want to help students gain more than just comprehension of this era, but the ability to analyze these speeches and writings to think critically about the purpose, motivation, complexity, and consequences of Cold War foreign policy, and by extension, the policies that shape the world that they are growing up to inherit. 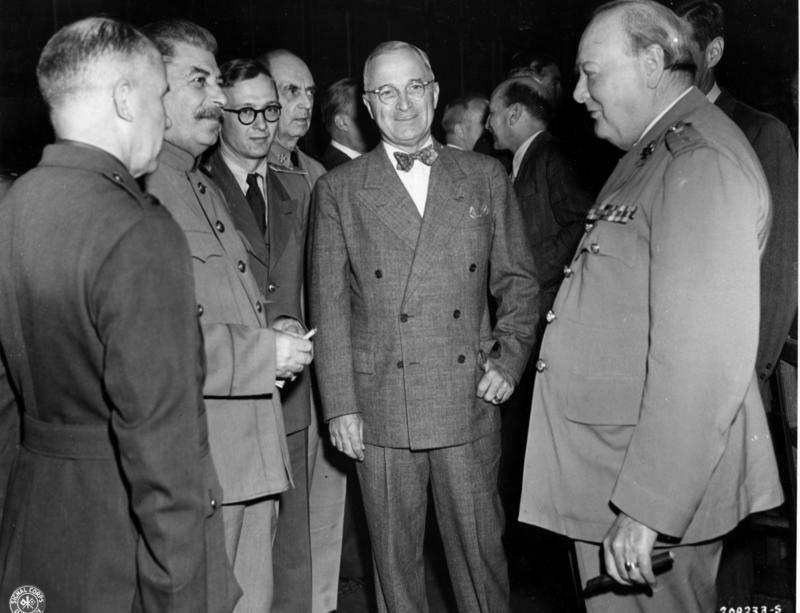 “President Harry S. Truman, Prime Minister Winston Churchill, and Prime Minister Joseph Stalin at Opening of Potsdam Conference, July 17, 1945,” The Harry S. Truman Library and Museum, no. 63-1321-02, http://www.trumanlibrary.org/photographs/displayimage.php?pointer=52375 (Oct. 16, 2012). 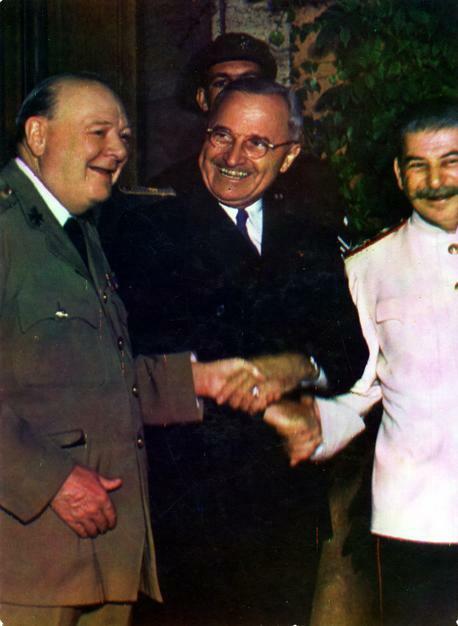 “Churchill, Truman, and Stalin, July 23, 1945 The Harry S. Truman Library and Museum, no.58-797, http://www.trumanlibrary.org/photographs/displayimage.php?pointer=2511(Oct. 16, 2012).